WOW, what a year!!! 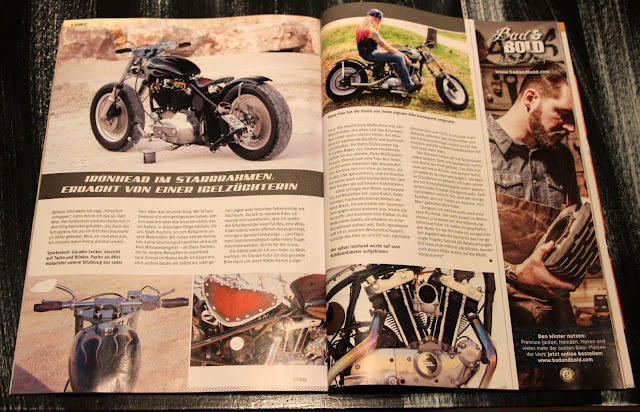 My 1981 Ironhead just got featured in Germany's magazine, "Harley Davidson Dream Machines". They are sending me a couple copies. 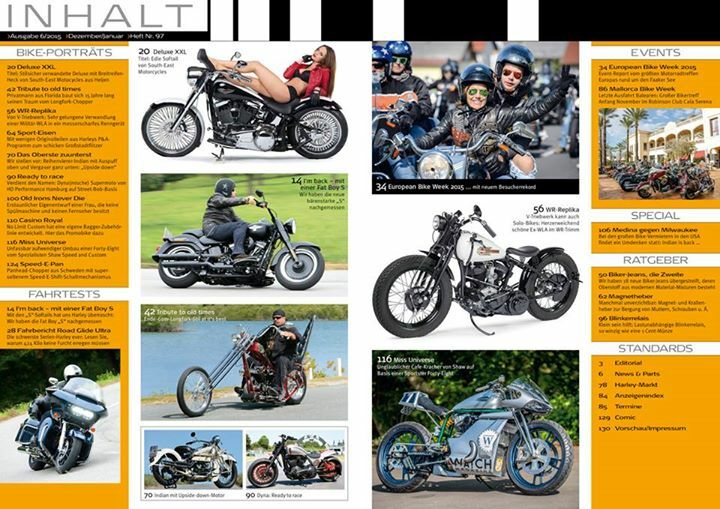 Here is the contents page! 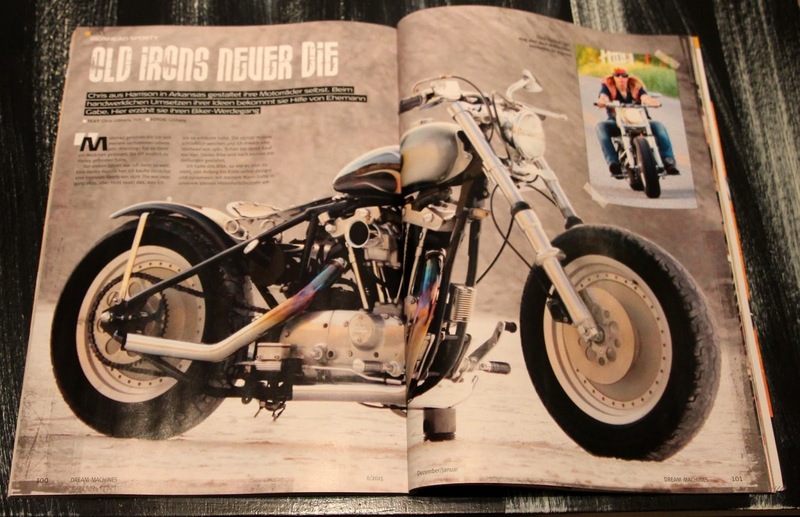 You can see my feature starts on page 100, titled "Old Irons Never Die". Can't wait to see it!!!!! UPDATE- just got 2 copies in the mail and I got a 4 page feature!!! 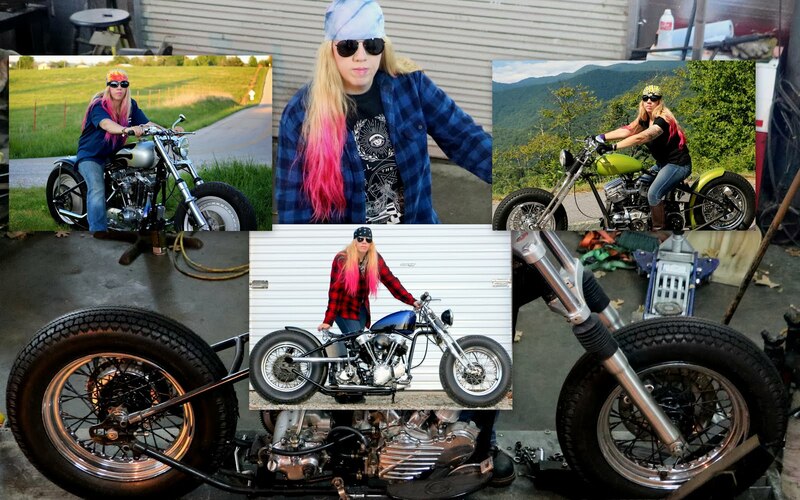 Photos added below!